AUCKLAND, New Zealand - Intensity, passion and the theatre of a Cup final - Ramon Tribulietx expects Sunday's showdown with Eastern Suburbs to have the lot. The gridlock derby has leaned heavily in favour of the Navy Blues over the past two seasons with Tribulietx's side notching five consecutive wins but with some radical changes and eagle-eyed recruitment by the Danny Hay-coached outfit, Auckland City FC can expect a tough challenge according to their head coach. Three matches, three wins, both teams scoring a combined 19 goals across six matches suggests fans are in for a treat when the two sides clash at Riverhills Stadium on Sunday in the live televised match. The Navy Blues preparations are on track and Tribulietx was satisfied with how that process has gone. "We've had a good week of training and the team is looking good and mentally prepared for Sunday's match. "Albert's progressing well and joined in with one or two elements of training and he's looking good. Fabrizio is still suspended and David Browne is working on his fitness with bike work," he said. One key figure missing from the Navy Blues squad is in form attacker Micah Lea'alafa who is unavailable for selection for personal reasons. 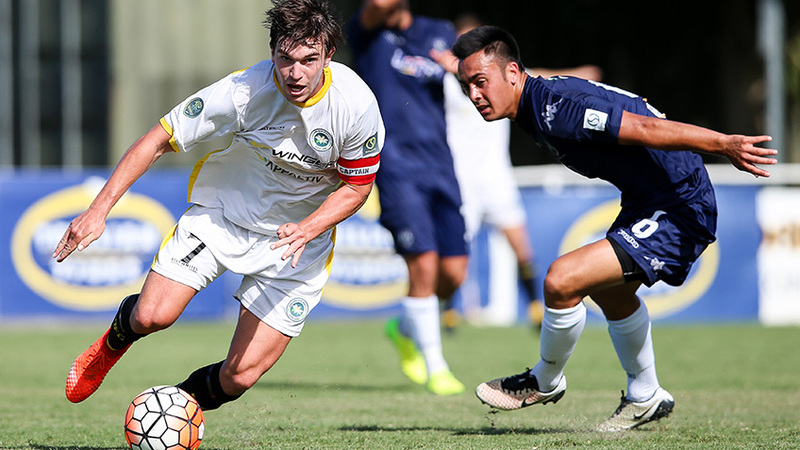 Despite being down on personnel, Auckland City FC's form has looked solid with wins over Hawke's Bay, Tasman United and Team Wellington. Eastern Suburbs look in ominous form sweeping aside Canterbury United 3-1 in Christchurch last week off the back of a 5-0 demolition of Hawke's Bay United and a 2-0 victory over the Wellington Phoenix. Tribulietx expected to see the Lilywhites challenging for the title from the first kick of the ball this season. "It's not a surprise to see the start they've made to the season when you look at the attacking talent they have and the intensity with which they want to play. "In the first 20 or 30 minutes of a match they put their opponents under very intense pressure and they try to play the game in your half all the time. "They're very direct from the back and when they get to your half they get forward with a lot of players to cause an overload and transition with high intensity. "They got on top of Canterbury early and had a few chances to score. They get a quick transition and if they don't manage to score they still put teams under constant pressure. "Andre de Jong, Elijah Just, Mohammed Awad are very intense players with Harry Edge in midfield and they make your life hard. It's worked well for them so far," Tribulietx told www.aucklandcityfc.com. One of the key talking points ahead of the derby will no doubt be the presence of four former Navy Blues players in Lilywhites colours. Check out the #NavyBlues and #JuniorNavyBlues in #GridlockDerby action this weekend - see you at Riverhills! Dalton Wilkins, Owen Parker-Price, Harry Edge and Callum McCowatt have all followed mentor Declan Edge to Eastern Suburbs along with at least half-a-dozen Ole Academy players, among them Mohammed Awad, a stand-out for Western Suburbs in their run to the ISPS Handa Chatham Cup final earlier this year. Tribulietx accepts such dynamics in the modern transfer market are par for the course and that the Navy Blues have moved on. "If players don't want to play for your team then that's the end of the story, you accept their decision and you move forward - that's life, that's football. "In many ways this game will be treated like a Cup final by Eastern Suburbs and we need to be ready for that intensity. "We met in pre-season and we both played 4-3-3 but what I've seen in the first three games they've set up with a 4-4-2 diamond shape in much the same way as Danny set up last season. "Whether or not we face the same pressing strategy other teams have employed against us remains to be seen but we can expect the ball to come under pressure. We'll have to understand how to get through what they bring to the match," he said. Sunday's match is live on Sky Sport and kicks off at 4.35pm NZST. AC (squad chosen from): 1. Enaut ZUBIKARAI (GK), 2. Hayden McHENERY, 3. Takuya IWATA, 4. Mario BILEN, 5. Angel BERLANGA (c), 6. Brian KALTAK, 7. Cam HOWIESON, 9. Javier LOPEZ, 12. Dylan MANICKUM, 13. Alfie ROGERS, 14. Jordan VALE, 15. Dan MORGAN, 16. Yousif ALI, 17. Reid DRAKE, 18. Ruben PARKER (GK), 20. Te Atawhai HUDSON-WIHONGI, 21. Maro BONSU-MARO, 24. Cameron BROWN (GK). INJURED: Albert RIERA (Knee - one week), David BROWNE (concussion).